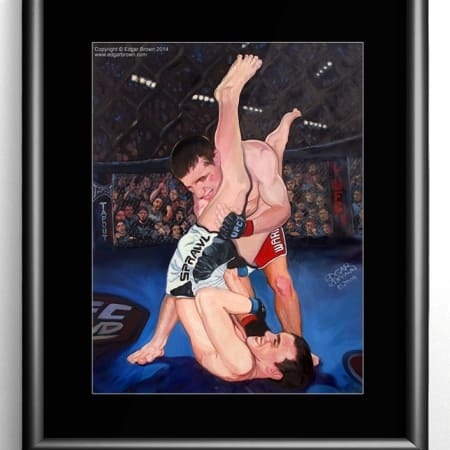 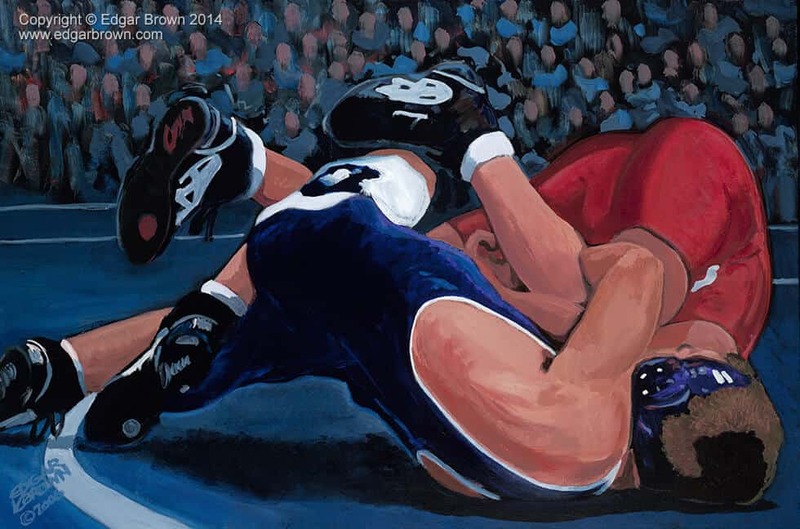 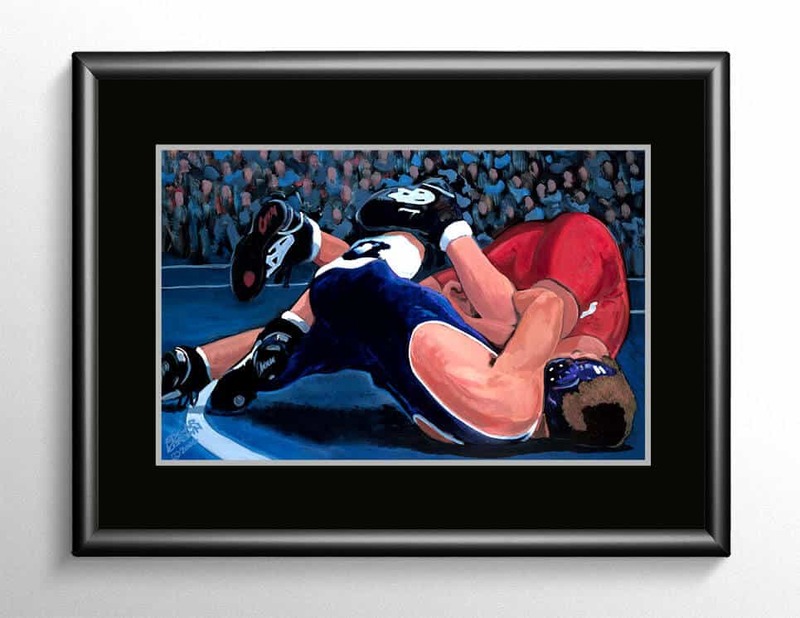 Sports Painting of wrestler executing the perfect cradle. With 1:18 left in the first period he hits the take down and rolls his opponent into a killer cradle forcing the pin. 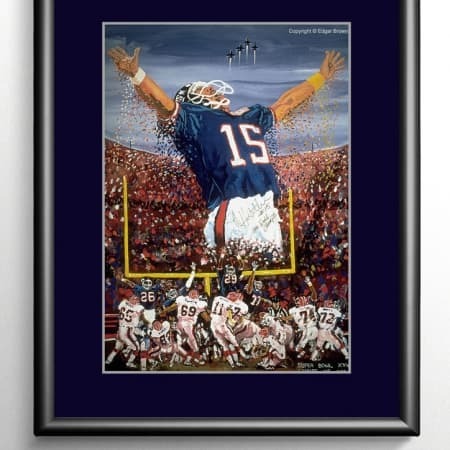 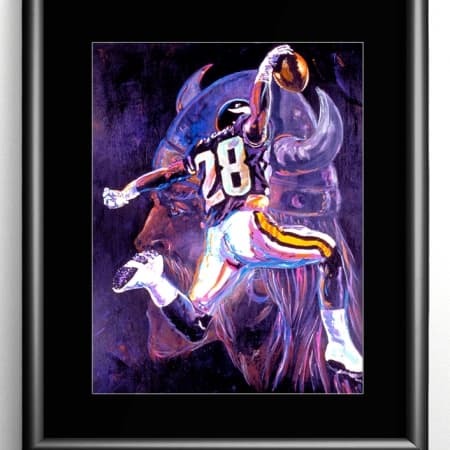 “Believe in yourself and anything becomes possible” Inspire your athlete today with this fine art limited edition print today. 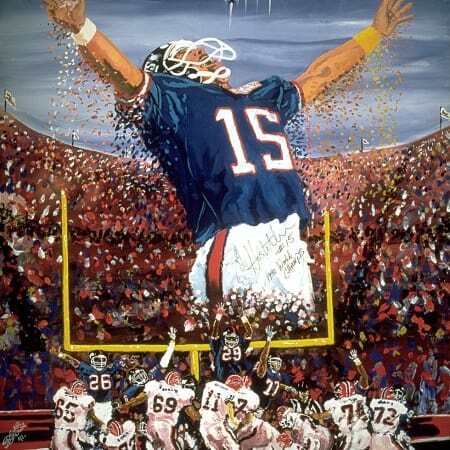 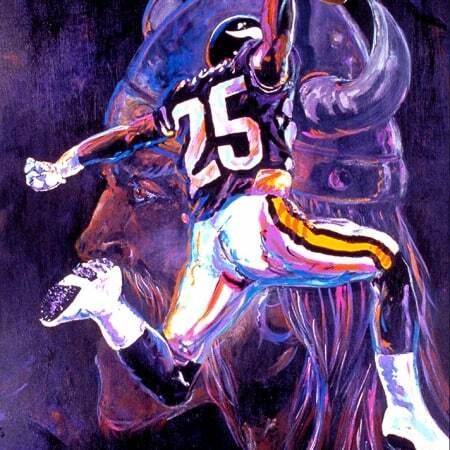 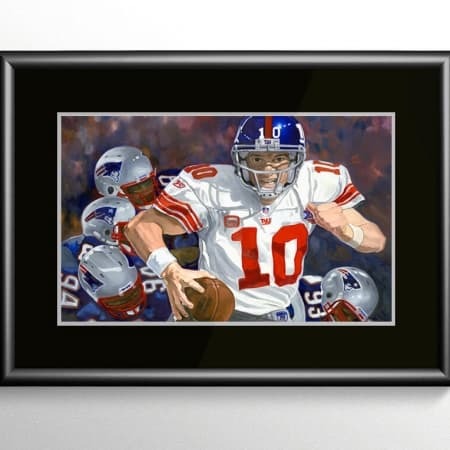 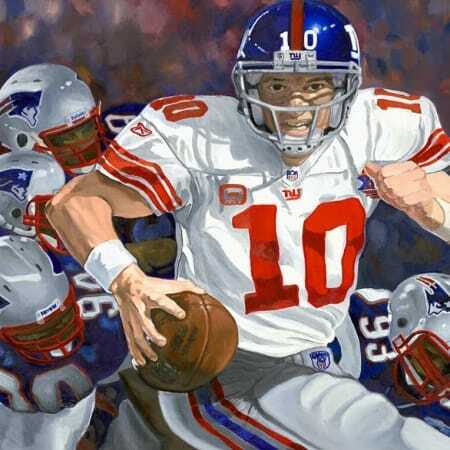 Size Approximately 30″ x 40″ signed and numbered by the artist.